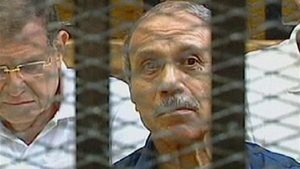 The Egyptian private newspaper Al-Bawaba could not print its Sunday edition, after the media chided the security establishment for its reluctance to arrest Habib al-Adly, former interior minister under ousted Hosni Mubarak, sentenced to prison over state funds embezzlement charges. The newspaper stated that government-controlled publishing house Al-Ahram had refused to print its Sunday edition because “certain parties” — who it did not identify — had “demanded the deletion of a front-page report about al-Adly’s continued ability to escape punishment”. Al-Adly served as interior minister (1997 to 2011) under the autocratic leader Hosni Moubarak who was forced to step down in 2011 after 18-day revolution. The former official was sentenced in April to seven years in jail for public fund embezzlement during his tenure. He has also been fined millions of dollars. Al-Bawaba turned to President al-Sisi to intervene and let justice reign in Al-Adly’s case and also to protect the newspaper from blatant interference by parties who are trying to conceal their career failures, Middled East Monitor (MEMO) reports. The former interior minister has gone missing since his trial and security authorities have repeatedly stressed that they have been working for his arrest.